Kate Kurdyak: young; polished; pure; fresh; original. P.D. Wohl possesses both an artistic and technical aptitude for musical creation he fervently brings to appreciative audiences. Jodi Doidge will be bringing her indie/folk/country charm to Yaletown. Adam Gibb shares his magnetic whimsy with the Trees family tonight. Enjoy. Our coffee beans and herbal teas aren’t the only thing with international flavor you can find at our cafes. We love that Trees Organic’s downtown locations gets to play host to friendly and hardworking local students from UBC, SFU and BCIT, as well as far off-places like Korea, Japan and Mexico. It’s hard not to notice these diligent crowd cramming for exams, practicing their English conversation skills or doing their homework online with our free WiFi while sipping a steamy latte or green tea. Trees Organic cafes are also a popular place for ESL teachers to bring their students for a taste of Canadian culture (and a welcome break from the classroom, particularly on a hot summer day). Now we want to give a something back to our international customers… and any of their friends from class they’d like to invite along. Students get a 10% discount off all regular price items! Just show your student ID. Trees Organic’s owner also offers free lectures for students to learn more about coffee as well as business management. For ESL school teachers, this is a great opportunity to bring students to the lecture for a chance to work on English skills. Lectures at our Granville location can be booked by calling (604)684-5022. Doron can accommodate groups of 5-15 people. Trees Organic could be the regular hangout for your study group. Come here for lunch and fuel up with our delicious fresh-baked bread, hearty soups and savory sandwiches. Enjoy some of our famous cheesecake while you study. Practice your English conversation skills after school with some friendly café culture. The ESL crowd in particular have already come a long way for one of the best cities to learn English and get a feel for North American culture. Our locations in Yaletown, Gastown and the heart of Vancouver on Granville Street are just a short walk away from their school. Check out a welcoming place for students that offers the best of Canadian hospitality, great coffee and tasty treats, no more than a quick trip from your school. Looking forward to seeing more of our friends after school! More music nights at Trees Organic cafes in Vancouver! Granville St. hosts two bands accustomed to touring and acclaim: Indie-folk-rock Alberta boys, Layten Kramer & The Eerie Green, presenting you tunes from their new album, Lost in the Woods; The Little Stevies, a seasoned Australian trio, light up Vancouver’s grey nights with the folk-pop harmonies of their album, Attention Shoppers. Granville St. eases you into your weekend with a night of alternative-pop: Kate Morgan, who having shared the 2010 Lilith Fair stage with her idols, is a well-respected talent in the Canadian music scene; Nadia von Hahn, an effervescent, alternative-pop fixture in popular live music venues across BC; Nat Jay, whose accomplished song writing set the stage for songs from her bold album, Lights Across the Sky, to be picked up by international festivals and TV series; Winston Hauschild, a dedicated, genuine performer and producer whose solo album, Limited, and ensemble effort, Passengers, brought him notoriety in their creativity and realism. Richards St. is welcoming back a haunting duo and introducing a raspy narrator: Sillken, nominated for the LA Music Awards Acoustic Duo of the Year, return to capture the crowd; Frank Patrick brings his raspy brand of raw, dark tales from his album, Worlds in Transition. Gastown features Trees alumnus Frank Patrick as well as Cole Petrone, who’s excited to share previews of his upcoming album, Ethos. Shows at 8 pm. Come ready to settle in with something sweet for a stellar weekend of contemporary cool. Trees Organic at Granville St. brings you a solid roster of talented young men: David Borys, a country/rock stud, whose band, The Steel Toe Boots, is known for impressing upon his audiences the importance of coming to a show ready to party; Adam Bailie, whose alternative pop/rock vocals are reminiscent of David Gray and Damien Rice; Neal Ryan, an Irish Vancouverite with a songbook of introspective, soft ballads with which to get cozy in the summer rain. 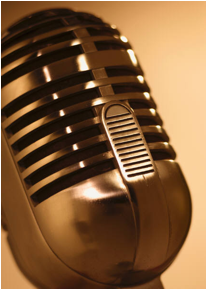 Music Night Friday, July 15, 2011 at our central Granville and Yaletown cafes: 450 Granville St and 1391 Richards St. Trees Organic at Granville St. is hosting another trio of songbirds with whom to while away an evening tucked into a creamy slice of our signature cheesecake. We’ll be featuring: Sadie Donovan, to spice up the weekend with her locally-honed vocals she’s shared with many a festival crowd; Bernie Boulanger, a folk/country acoustic storyteller; Ben Rogers, a seasoned folk singer/songwriter and an old soul with a guitar. Trees Organic at Richards St. in Yaletown will be serving (alongside iced mochas and biscotti) Kendall Wooding and Beth Marie Southwell to anyone at our Yaletown location in need of a little urban escape. Kendall hails from North Vancouver and her artsy, alternative rock creates haunting ambiance with which to complement Beth’s raw, relatable tunes she has shared with audiences on her international travels. Shows at 8 pm. Join your friends and neighbours for renown drinks, desserts and an evening of entertainment. We’re very proud to be known for serving up Vancouver’s best cheesecake and our summer recipe is our tastiest flavor yet: Mango Splash! Chunks of fresh mango nestled in our traditional New York base, swirled with mango puree make a fluffy, smooth summer treat. You can even throw it in the freezer for a cheesecake/ice-cream- inspired delight. This cheesecake already has a major fan following! Sounds good? It tastes even better. And we can prove it. Come in to our Trees Organic Yaletown café at 1391 Richards St. this Wednesday, July 13, between 2 and 6 pm and try a taste of our Mango Splash cheesecake in a tasting cup. We bet you can’t just stop with a taste! 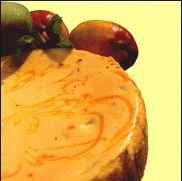 Get $2 off a slice of Mango Splash cheesecake during the tasting from 2 to 6 pm. We’re also giving away 25 vouchers (they’re going to go fast!) for $5 off a whole cheesecake. We’re excited about our cheesecake tasting day and we want the whole world to know about it. So we’re running a contest, too! When you see a tweet from @TreesOrganic promoting Wednesday’s tasting, just retweet it and you’ll be entered in a draw for a $20 Trees Organic gift card. The winner will be announced on Thursday – on Twitter, naturally. See you at the tasting at Trees Organic Yaletown this Wednesday!